We Have a Quick Chat With New BikerBuddy Company at the KTM Adventure Rider Rally. The 2017 KTM Adventure Rider Rally was held in Crested Butte, Colorado for the second time in three years. With nearly 500 attendees including a massive staff of KTM event planners, celebrity riders, world-class racers and helpful technicians, it was a popular destination to say the least. On top of that, nearly 30 vendors from the Adventure Motorcycling industry showcased their latest adventure-motorcycle gear and services. 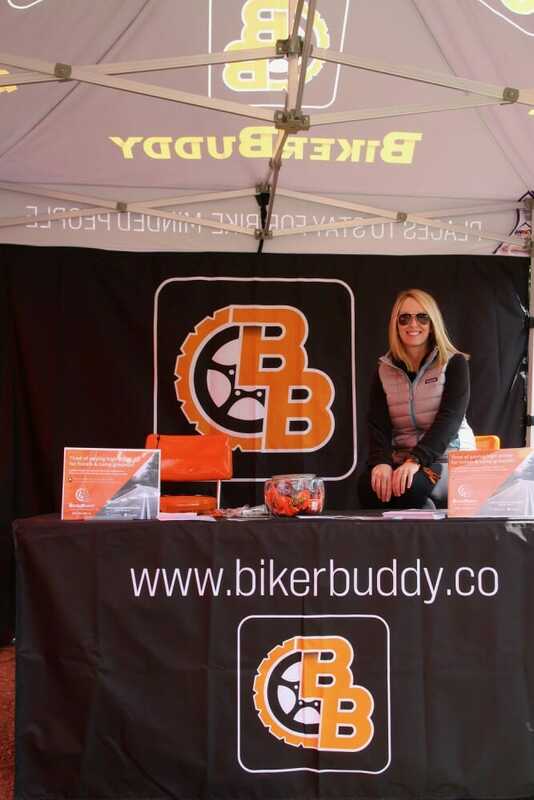 We had a quick chat with Ginger Douglas from Bikerbuddy.co, an app to connect motorcycle riders with lodging options while they’re traveling, inside their booth at the KTM Adventure Rider Rally to see why they made the trip, what kind of cool new stuff they have and what they think the KTM Adventure Rider Rally is all about. What product in your booth is drawing the most interest from the attendees here at the KTM Rally? Ginger Douglas: Most of our booth traffic here is people coming in to learn about our new/upcoming app BikerBuddy. It’s our first foray into this event and it’s been great. BikerBuddy is an app similar to AirBnB to connect motorcycle riders with lodging options while they’re traveling cross-country on motorcycle rides. We’re trying to create a community where we can offer affordable lodging. So, if you have space in your backyard for camping, an extra RV or camper or room you’d be willing to rent to a motorcyclist, we want to make that connection. Maybe you want to share local riding knowledge, offer a place to wash a bike and maybe even work on a bike. BikerBuddy will be a great place for riders and hosts to connect.